Your information is 100% private. Unsubscribe at any time. "Men shall not live on bread alone, but on every word that comes from the mouth of God." We all know how easy it is to get caught up in the demands of life. But if we don't spend time daily in God's Word and in prayer, we grow weak and weary. That's why we've made it easier for you to engage with God's Word on a daily basis. 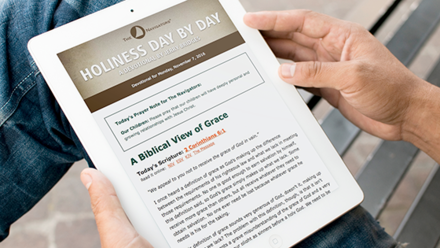 You can choose from two daily devotionals that deliver Scripture, teaching, and prayer guides right to your inbox. 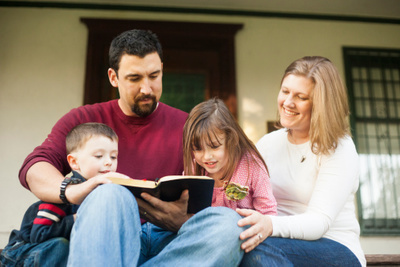 Whether you are just starting to study your Bible or have been for years, these devotionals will help you grow in faith, knowledge and love of God. 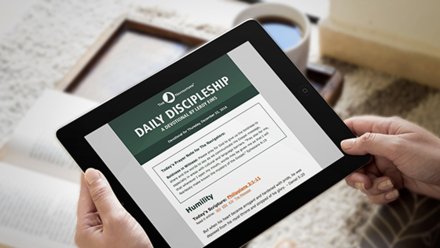 Filled with real-life stories, Daily Discipleship offers practical and encouraging teaching on what it means to be a disciple of Jesus in the midst of living a busy and full life. LeRoy Eims served with The Navigators for 50 years and is the author of 14 books. His passion was to preach the good news of Jesus and make disciples. Holiness Day by Day is a collection of Jerry Bridges' best writings to give your daily devotional deeper substance. You'll be inspired to grow in spiritual maturity. Jerry Bridges was a well-known Christian writer and speaker. He served as a staff member at The Navigators for over 60 years. Sign up for your FREE devotional emails today! Navigators spread the Good News of Jesus Christ through one-on-one relationships, by investing in disciples who make disciples, and equipping others to make a worldwide impact for God's glory. Our aim is to not only reach people for Christ, but to equip them so that they, in turn, can help fulfill Christ’s commission to “go and make disciples of all nations” (Matthew 28:19).